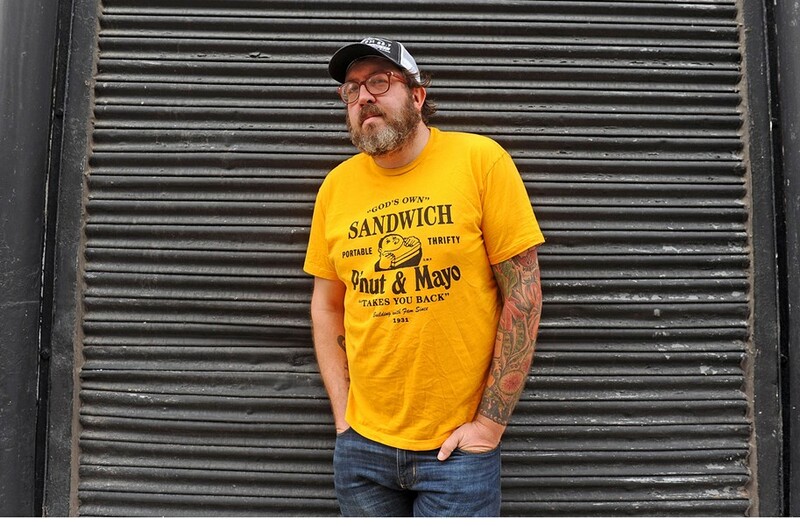 The Visionary: Richmond Chef Travis Milton Wants to Revitalize the Region That Nurtured His Culinary Heritage | Cover Story | Style Weekly - Richmond, VA local news, arts, and events. Scott Elmquist Although Milton’s family moved to Richmond when he was in his teens, his upbringing in Southwestern Virginia influences almost everything that he does. It begins at Travis Milton’s wrist. The words “coal country” form a bracelet and above that, tiny dark miners’ faces, drawn by artist Wes Freed, grow out of the words. Next come the greasy beans — greasy isn’t a description, but a variety of green bean in Southwestern Virginia — the pods bulging. From there you see a whole garden climbing up Milton’s arm: watermelon radishes, rhubarb and tomatoes, including his family’s own heirloom variety, the Powers yellow tomato, on up to a Hewes crab apple topped by a harvest moon. The plan is for the tattoo to continue over his shoulder, with a drawing of a farmer holding up the Earth with his tractor running behind him to finish the story. 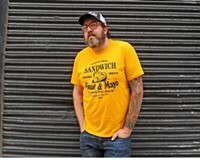 Milton, 37, is known to most Richmonders as the tall, bearded chef with big glasses and a trucker’s hat who used to cook at Comfort on Broad Street. He might have stared dourly from the kitchen at you while he handed plates to the wait staff during dinner hour. But once you start to talk to Milton, you realize that look is one of focus, not bad temper. He’s started to garner national attention in the past few years, with mentions in magazines Garden & Gun, the Local Palate and Southern Living. In the spring, he plans to open his own restaurant, Shovel and Pick. It’ll feature the Appalachian food he grew up with in Southwestern Virginia, but it might not be what diners expect. Russell and Wise counties, where he spent most of his childhood, inform just about everything Milton does. The art on his arm is a way to both remind himself of what’s most important to him and to tell others a different tale about Appalachia than the knee-jerk, stereotypical one of hillbillies and moonshine. He wants you to know that when you look at the details, the particular kind of apples or the variety of squash that’s been grown for generations — that when you focus on what a region eats, you get a truer picture of the people who live there. Back to those greasy beans. They became — or what they represented became — one of those rare moments of clarity. Milton was working at New York’s WD-50 for chef Wylie Dufresne, a man known for his experimental cooking. “We were making, of all things, powdered peanut butter and jelly capsules,” Milton recalls. And while the two were busy putting them together, Milton longed instead for the cooking he knew at home. He told Dufresne that right then he’d rather be eating a greasy bean than doing anything else. According to Milton, Defresne replied, “Why the hell would you want to eat a bean covered in grease?” He tried to explain that it was a particular kind of green bean, but Dufresne, who’s popped up as a judge on several seasons of “Top Chef,” wasn’t interested. 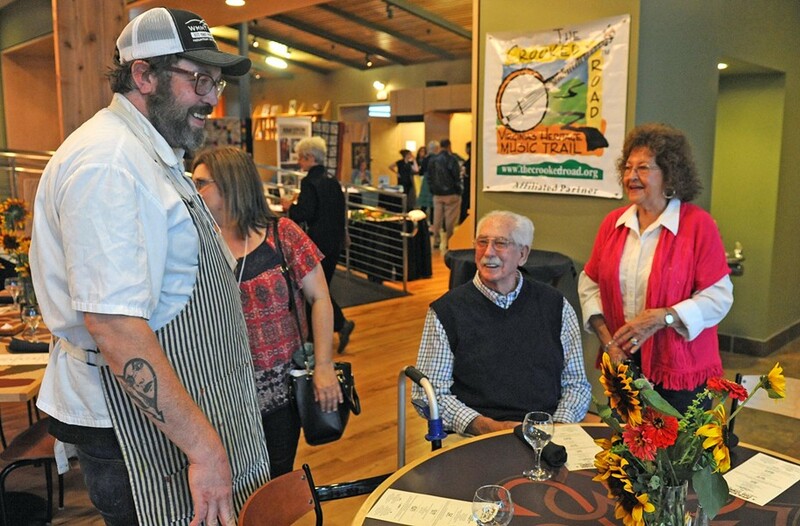 At the Appalachian Food Summit in September, Milton prepares a dinner for 100 with chef Jassen Campbell, at right. Not pictured are chefs John Fleer and Shelley Cooper. Living on the rounded peaks of the Blue Ridge Mountains, Milton was fortunate enough to know great-grandparents on both sides of his family. On his father’s side, the family ran a restaurant in Castlewood, just north of Abingdon in far Southwestern Virginia. His mother’s family were farmers. If the restaurant business seeped into Milton practically by osmosis, a lifelong love of growing things and preserving them took root as well. On the family farm, canning, pickling and making jam weren’t the trendy things that chefs do now, they were a way to keep food on the table. But this is where Milton’s story diverges from many of those in the Appalachian region. Instead of working in the coalfields, his father went to college and held down a job in a gas station while his son was small. He became a microbiologist for the Virginia Department of Health, and when Milton was in his teens, his dad was promoted to deputy director of immunization. That’s what brought the family to Richmond. It was a tough transition. The first thing Milton tried to do was get rid of his accent. “Inbred hick” and “hillbilly” were two of the nicer things he was called. He says he ended up majoring in English at Virginia Commonwealth University because he focused so intently on how he spoke at that time. Milton intended to become a teacher, but even though he had a variety of jobs — fixing racecars, as an on-air radio DJ named the Albino Love Machine and as a long-term substitute teacher at Hermitage High School — he always cooked to make extra cash. The money was better in restaurants, he realized. And after an unexpected promotion to head chef at Bottega Bistro at age 23, he realized there was no going back. But there were gaps in his experience. “I felt like I failed upwards,” he says, “so I started staging everywhere.” He worked for Todd Gray in Washington’s Equinox, Chris Consentino at San Francisco’s Incanto and for Dufresne in Manhattan. But he was frustrated with haute cuisine and surprised that the way his family looked at farming and its connection to eating wasn’t widespread. “I just wanted to cook honest food,” he says. In 2011, he returned to Richmond. After leaving the now-closed Parkside Café, Jason Alley gave him that opportunity. Alley’s East Grace Street restaurant, Pasture, was in its infancy, and he needed someone to take over the kitchen at Comfort. Alley’s pioneer project, which specializes in Southern-influenced fare on West Broad Street, had helped to spur the renaissance of what’s now called Richmond’s arts district. It was closer to the way Milton wanted to cook, but he knew a full, Appalachian roster of dishes wouldn’t be possible. He and Alley, who also grew up in Southwestern Virginia, knew that Comfort was bigger than the both of them, he says. Customers were too attached to its menu — the meatloaf, the mac ’n’ cheese, the squash casserole. The food was too well-loved to change. But Appalachia proved to be bigger for Milton than Comfort. 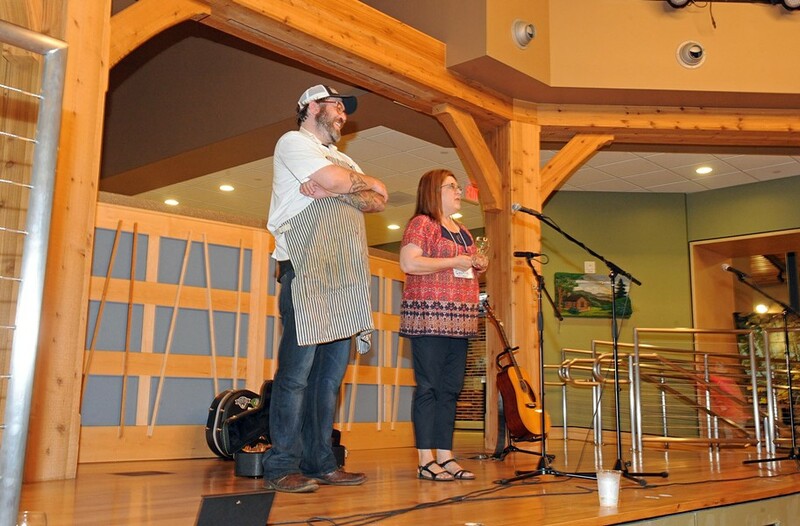 Milton and Sheri Castle, a cookbook writer and fellow summit organizer, helped bring together a group of more than 100 food writers, chefs, activists, cultural historians, farmers and journalists to the second Appalachian Food Summit, held this year at Abingdon’s Heartwood. On a Saturday in late September, Milton is prepping for a big dinner to be served to about 100 people at the end of the Appalachian Food Summit in Abingdon. He also sits on panels and stops in to make sure everything is running smoothly during presentations in which he isn’t actively participating. 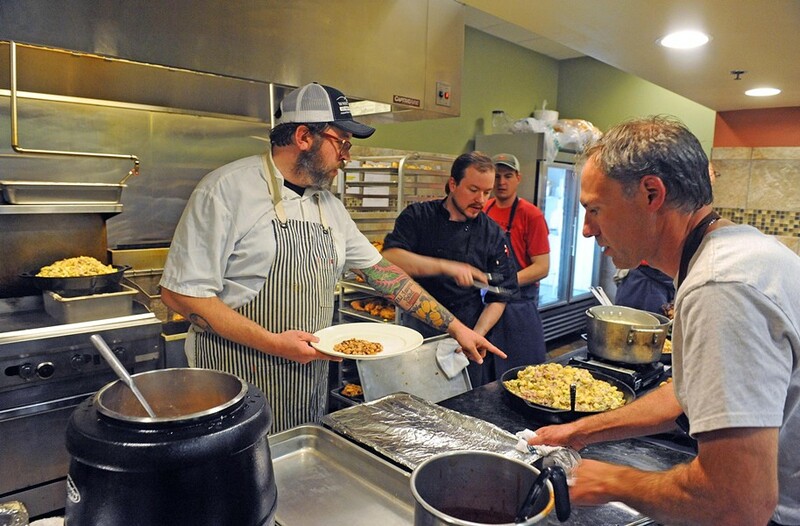 He strides back to the kitchen to confer with three other chefs: Jassen Campbell, the chef at Abingdon’s Heartwood, where the event is taking place, Shelley Cooper of TerraMae Appalachian Bistro in Chattanooga, Tennessee, and John Fleer of Rhubarb in Asheville, North Carolina. The summit came about over a Facebook conversation about corn bread. Milton’s friends — Lora Smith, network officer for central Appalachia at the Mary Reynolds Babcock Foundation; Kendra Bailey Morris, Richmond author of “The Southern Slow Cooker” and food writer; Sheri Castle, author of “The Southern Living Community Cookbook”; and Ronni Lundy, whose book, “Shuck Beans, Stack Cakes and Honest Fried Chicken,” was one of the first to look at Appalachian food as a distinct cultural tradition — were debating whether sugar had any place in a corn bread recipe. Spoiler alert: It doesn’t. The first event took place in Hindman, Kentucky, in 2014. But the group is still evolving. Food is integral, Lundy says, but the summit brings together many different groups from all six of the Appalachian states. This is where Milton stands apart from chefs who simply want to bring their own cultural tradition to the table of a restaurant. He’s committed to helping the region — a place that’s been devastated by strip mining, mountaintop removal and other environmental disasters associated with coal. Perversely, the coal industry that’s done so much damage also has supported a region that has little other industry. But the coal business is leaving the Blue Ridge Mountains — and leaving its population with few economic alternatives. Poverty is endemic. Food insecurity is increasing. “There’s a generation that has no idea how to garden and feed themselves,” says David Cooke, director of Grow Appalachia. When the mines were booming, having the cash in your pocket to buy food in a store was a sign of success, he says. Growing it was something that the older, more impoverished generation had to do out of necessity. That generation is mostly gone, and farming knowledge disappeared with them. Now that the mines are closing, not only does an economic alternative for the region need to be found — fast — but also, Cooke says, in the short term people need to learn to grow what they can eat. Most of what Milton knows about cooking and the restaurant business, he learned from his grandparents, Jack and Nancy Milton. When you ask Milton which groups he works with, he reels off a long list. They’re as wide-ranging as organizations that look for ways to directly help people in the region and food heritage groups, such as the Ark of Taste, a Slow Food project that endeavors to discover and preserve lost heirloom varieties. Milton’s energy is wide-ranging. He even has a small farm in Powhatan where he grows specific ingredients from Southwestern Virginia that he needs to cook with and can’t find locally — big candy roaster squashes, rattlesnake beans and those greasy beans. But there was one project that brought all the other work into focus for him. About a year and half ago, the Central Appalachia Food Heritage Project asked Milton to help out with a plan proposed by sociologist and activist Helen Lewis, who’s known as the grandmother of Appalachian studies. He realized he’d ben handed the opportunity to resurrect what his great-grandfather had spent a lifetime building. This is what brings Milton to the kitchen. At the summit, dinner is served cafeteria-style and diners stagger back to their seats with enormous plates of confit chicken-squash casserole, bourbon-muscadine glazed baked ham, country-fried rabbit, yellow-eyed pinto beans, collards, apple-stack cake and the best green-bean casserole I’ve ever tasted. 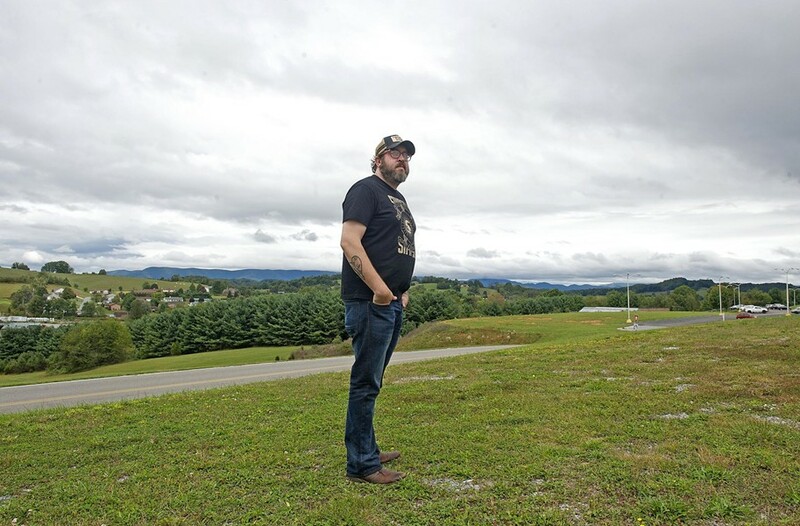 In the spring, Chef Travis Milton plans to open his own restaurant, Shovel and Pick, serving the Appalachian fare he grew up with. This weekend in Staunton will be a tasty one.